Thank you to everyone who joined us for the SME4Labour and Labour in the City fundraiser for Sadiq Khan. LiTC was represented in excellent numbers. 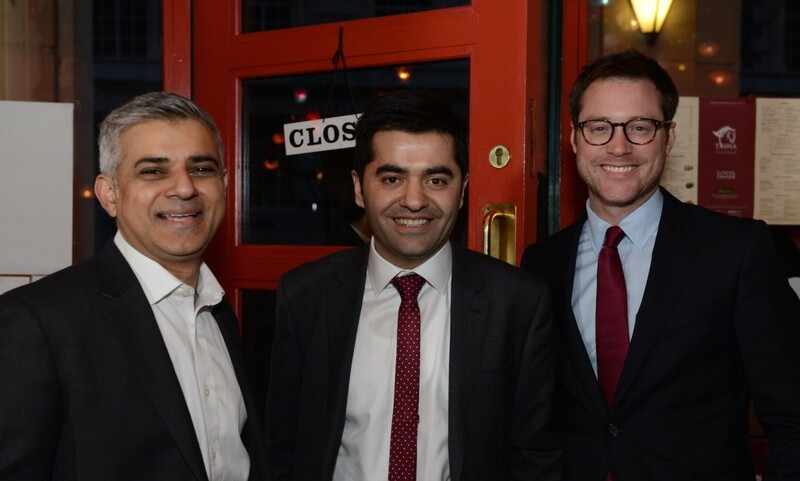 It was a hugely enjoyable evening – and thanks to the generosity of Ibrahim Dogus, who hosted the evening for free at his Troia restaurant in Waterloo – every penny of the money raised has gone to Sadiq’s campaign. Sadiq used his speech to make it clear that he wants to be the ‘most business-friendly mayor ever’, and support all of London’s business community, from the newest start ups to the global giants for whom many of our members work. Serial entrepreneur and Labour Peer Parry Mitchell, and Fiona Twycross AM both attended and entertained a happy crowd.